Take your career in healthcare to the next level with the Drexel LeBow Healthcare MBA. As the healthcare industry continues to evolve the need for leaders with business acumen, industry experience and fresh perspectives continues to rise. Drexel LeBow’s Healthcare MBA gives you the tools to make an impact in the industry by encouraging you to think critically about these issues from the start. The LeBow Healthcare MBA provides you with broad-based business education, including core disciplines of finance, analytics, and business strategy, and encourages you to apply these concepts to specific areas in healthcare through our tailored graduate minors. Whether you’re an experienced healthcare professional or are looking to make a career change, the Healthcare MBA prepares you for managerial positions in health policy, health care advocacy, non-profit organizations or other leadership roles in healthcare or human services. Health Administration - Explores topics in healthcare management and policy from legal and ethical concerns to healthcare resources, recruitment and retention. Global Health – Approaches the healthcare industry from a global perspective by focusing on community health, prevention monitoring and evaluation of international programs. 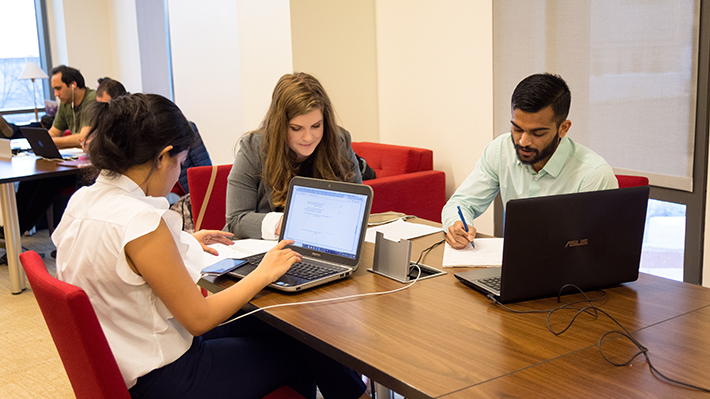 Health Economics – Specially designed by the Dornsife School of Public Health in conjunction with Drexel LeBow, this minor helps students develop economic-based skills to assess health, healthcare services, policies and interventions. Healthcare Informatics – Builds the skills necessary to solve major healthcare problems by teaching students to generate data and implement, adapt, and validate existing informatics approaches to healthcare strategy. Urban Health – Guides students through the understanding and analysis of key drivers of health in urban areas by identifying and evaluating effective strategies to improve urban health. Quality, Safety and Risk Management in Healthcare – Highlights best practices to improve and monitor quality metrics, and provides guidance on improving safety for both patients and staff, and managing risks in a dynamic healthcare environment.